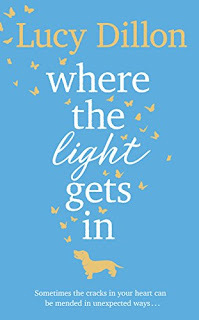 Review: What Lucy Dillon does when she creates her world and her characters is create a sense of community. Normally the community is not the sort of community that you might expect or what fits the 'usual' it is a community formed of her wonderful characters and the community that those characters need in that setting and in that moment and I think this is the most unlikely community yet, but it might just be my favourite. This book is long and so a lot of things take place over the course of 450 pages, so settle in because you're in it for the duration. Lorna is a great character to take this journey with because she is unassuming. She has a past and has been hurt in the past by family and friends and so she will always carry that with her. Returning to her past, like many of us will find, has certain effects on her and we see her dealing with those over the course of the book. What Lorna has by the bucket though, is kindness. She volunteers her time, her attention and her home to people she may have only known for a short while and so i defy anyone not to love this character. There are a host of supporting characters in this novel who make up quite a large cast of people you wouldn't necessarily put together. Lorna's best friend, her sister and her niece are major players in this book as are two people who Lorna has helped in their final months. Of course the characters you really want to know about are the dogs though right? Rudy the dachshund is just fabulous. He is just an anxious as any human and he does have to overcome some of those anxieties over the course of this novel. One of those being a terrier called Bernard. We know what the mood of the book is from chapter to chapter depending on how the dogs are doing and their intuition, I think that this was great! 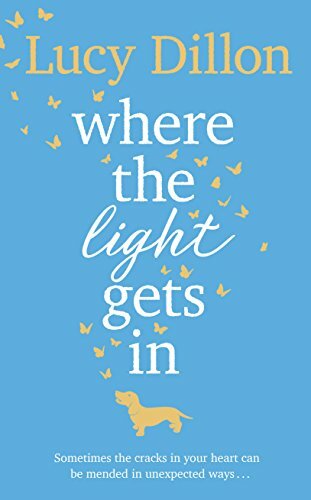 This book has a small town rural setting which has become very popular with writers of late but there isn't a massive push to describe people being outdoorsy or winning over a local community which I was refreshed by, this doesn't follow the trend, it just happens to have the small town setting. I think the small town setting was necessary for Lorna to be able to grow and evolve the way that she does and I really enjoyed the fact that a lot of this book takes place in an art gallery as well, it's not something I know a lot about and the fact that it was local art and not renaissance artists meant that I was able to follow everything they were talking about easily. This book covers a lot of topics not covered in other books and I think that is why I took my time over the novel and enjoyed it page by page. It is a long book but it doesn't necessarily feel long as you are reading it. If you go for the hardback is is beautiful but not the best for carrying in a small handbag-be warned that you will need a rucksack or a separate tote for this one. I really enjoyed this book and the community that Lucy Dillon has once again built in my mind!